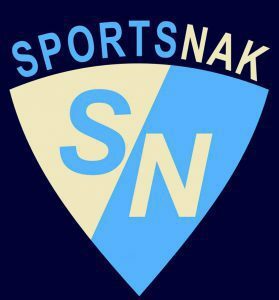 NBA Chatter is SportsNak’s weekly NBA feature, discussing the past week’s hottest topics in the association. Look for new editions every Sunday/Monday to get your basketball fix! After a two-week holiday break, SportsNak is back with the very first edition of NBA Chatter in 2016! This week we discuss our three favourite moments of this past year (2015): the NBA Finals, the Houston Rockets magical 3-1 comeback against the Clippers in the playoffs, and Russell Westbrook’s triple-double outrage in last season’s second half. This past year, basketball fans witnessed one of the most entertaining Finals matchup’s in recent memory. The LeBron James led Cavs took on the Steph Curry led Warriors, in which ultimately ended up in a Warriors championship win. LeBron put on a performance for the ages, with Kyrie Irving and Kevin Love out he was forced to put the team on his back. As far as LeBron went, the Cavs went. After six hard fought games, LeBron and thus the Cavs, were just not healthy enough and could not go any farther. They needed at least one of Kyrie and/or Love to help LeBron out. The Warriors, on the other hand, truly played fantastic basketball last year (and have continued to play on that level to this very day) and deserved to win it all. The MVP, Steph Curry, was great but it was his supporting cast that really brought the Larry O’Brien Trophy to the Bay Area. Andre Iguodala played arguably his best basketball, and won the Finals MVP award. Draymond Green continued to play strong on both ends of the floor and stretched the floor to Golden State’s advantage, Barbosa even played a key role off the bench, and Mareese Speights was wet from mid-range. It’s actually crazy how I haven’t even mentioned Klay Thompson yet. The whole team was playing together, and they could not be stopped. It was truly some of the best basketball I’ve ever watched. I will never forget watching game 5 of the Clippers vs. Rockets series last May. It looked like the Rockets were going to be eliminated, but then out of nowhere Josh Smith caught fire and with James Harden sitting on the bench, they won the game. Even after that, no one thought it was possible for them to win the series. History was also not on their side, as no one had ever come back from a 3-1 deficit. But that didn’t stop them from staying motivated, and before I knew it the series had reached a seventh and final game. The Rockets won the game, and the series and would move on to the conference finals against the Warriors. In all honesty, it would have been a way better conference finals if the Warriors played the Clippers. The Rockets didn’t really put up much of a fight, but their historic comeback in the series prior was fantastic. I couldn’t believe that Josh Smith, out of all people, was the one who carried them through. It’s also pretty ironic that he is now playing for the Clippers this season. For me, this series (more specifically, game 5) was a top three moment of the year. When Kevin Durant went down with a slew of injuries last season, Russell Westbrook didn’t just take over the OKC Thunder, he took over the entire NBA. Westbrook finished the year with 11 triple-doubles, and he even went on a streak of four in a row! He also was averaging over 30 points per game from the end of February until the end of the season, finishing the year averaging 28 points per game. He played his way into MVP contention, but had James Harden and Steph Curry ahead of him. It seemed like Russ was going to go for a trip-dub every single night, and he always left you in awe of his athleticism and skill after each and every game. Not only was he scoring 30-40 points for a long stretch of time, he was also averaging over 10 assists per game as well. He was a “stat-sheet stuffer”, as Clarke Kellogg likes to say. He was in Jordan territory when it came to his triple-double and scoring streaks and as a basketball fan, it was the most enjoyable thing in the world to watch. Although the Thunder did not meet their high expectations last season, they are well on their way back to the top this year. Westbrook has continued to shine, and with Durant somewhat healthy again, they look to be a force in the West yet again. 2016 will be a great year for basketball, and I can’t wait to see how the rest of the season unfolds. That wraps things up for this weeks NBA Chatter. Thanks for reading and be sure to comment your thoughts below and follow us on Facebook and Twitter! P.S. Don’t forget to vote for Kyle Lowry and DeMar DeRozan for this year’s All-Star Game in Toronto! Simply Tweet their name and #NBAVote next to it. Let’s get them in the game!